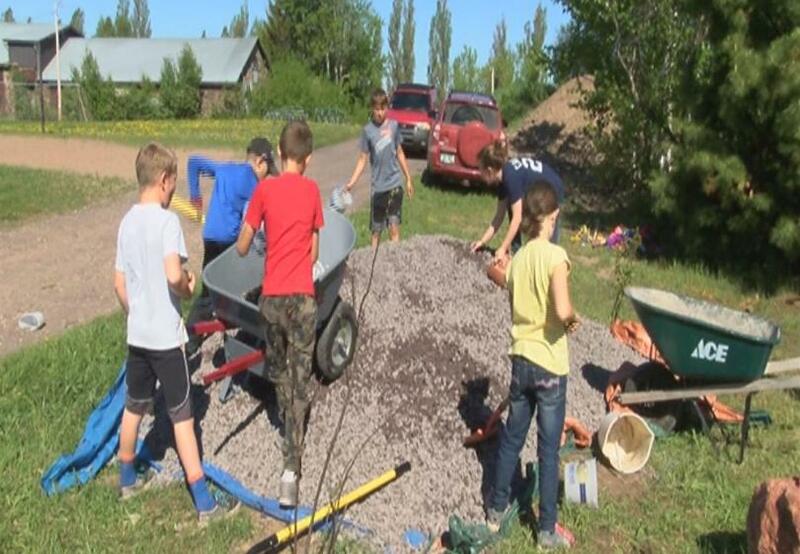 CALUMET, Mich. (WLUC) - Kindergarteners and 4th graders at Calumet-Laurium-Keweenaw (CLK) Elementary have been hard at work building a new outdoor learning space. The boulder garden is funded through Michigan Tech's Geoheritage Grant. The garden will be used as part of curriculum for kindergarten through 5th grade. "We'll be using it to teach timelines with students," CLK Kindergarten Teacher Barb Kinnunen-Skidmore said. "We're going to use it for outdoor learning space. They'll use it for story times, writing space. So, we're going to try to incorporate all content areas out here." CLK Elementary added a vegetable garden to their campus in 2008. Work on the boulder garden began last spring, and will be completed by the end of summer.